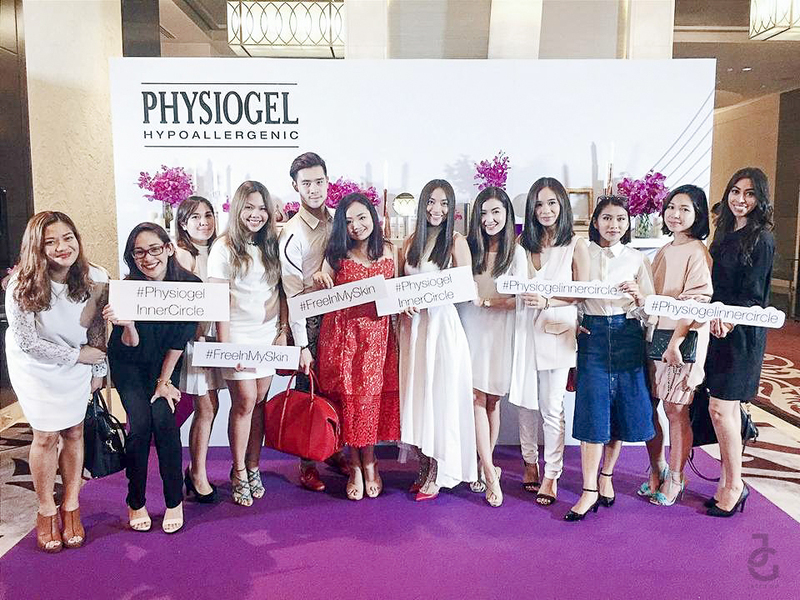 If you follow me on Instagram and Snapchat, you probably know I traveled to Bangkok recently for the Physiogel Inner Circle event where different media and online influencers gathered to learn more about the brand’s latest line – Physiogel Calming Relief Facial Care. Even before I went to Bangkok, I was already using Physiogel Calming Relief Face Cream, which prompted me to accept the 14-Day #FreeInMySkin Challenge. You can read my initial thoughts about it HERE. 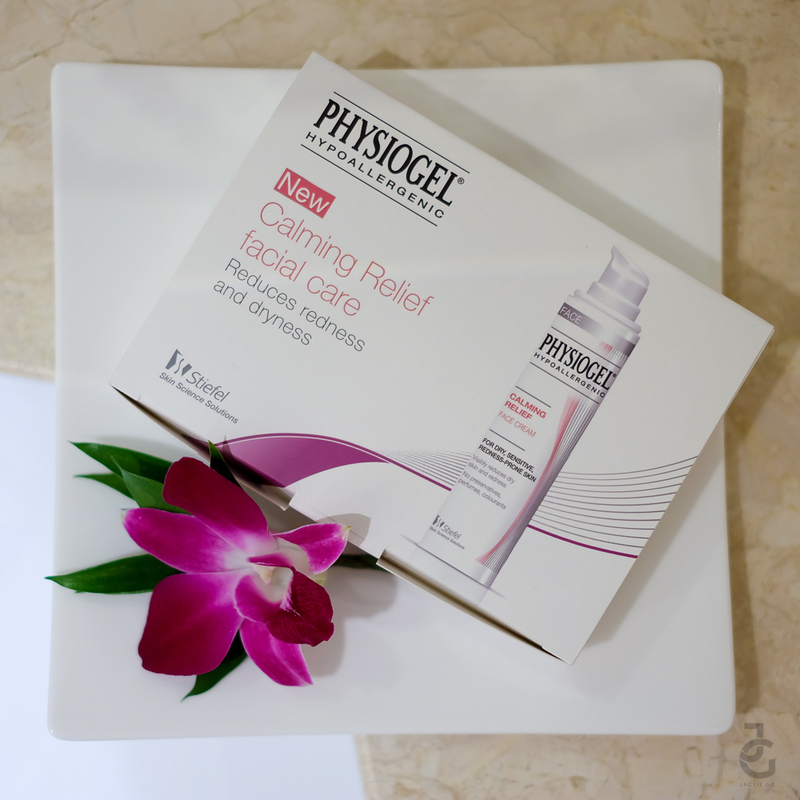 It’s been weeks since I started using Physiogel Calming Relief Face Cream but it was when I was in Bangkok did I really put this product to the test. I’ll tell you more about it on the second part of my #FreenInMySkin Challenge post but for now, I’ll let you in on what happened during the media launch. 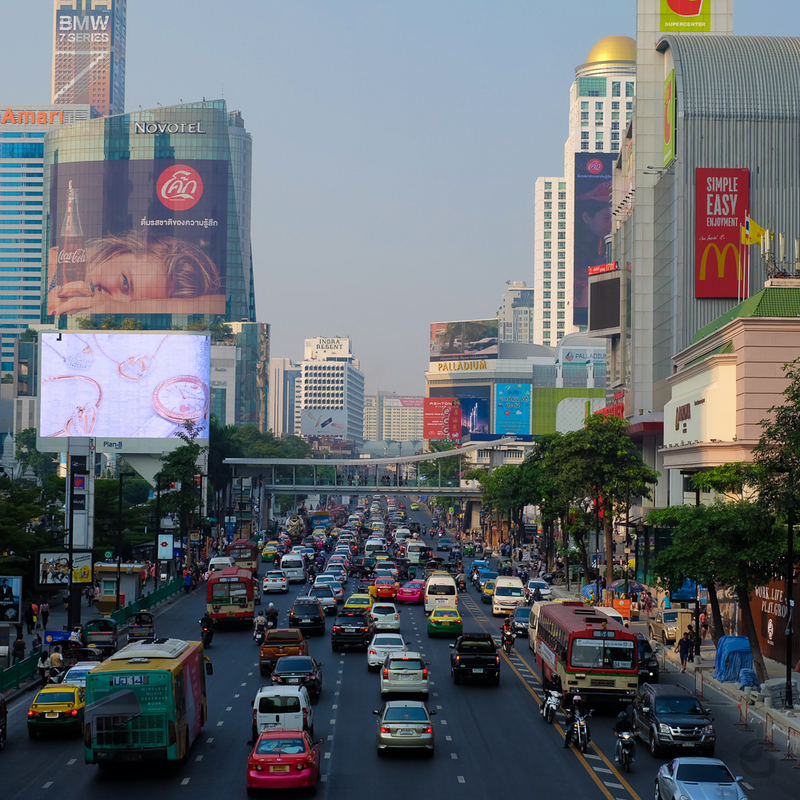 Hello, Bangkok! First time in The Land of Smiles. 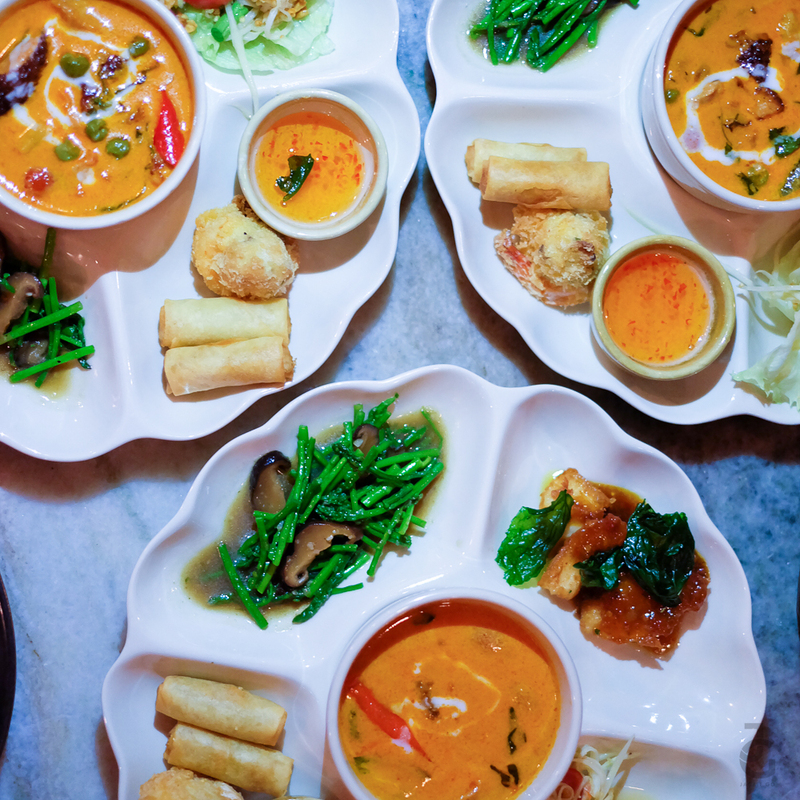 At first look, it resembles very much of the Philippines, with its busy streets and colourful billboards. But if you look closely, the road’s reverse and overall, I think it’s much more orderly. 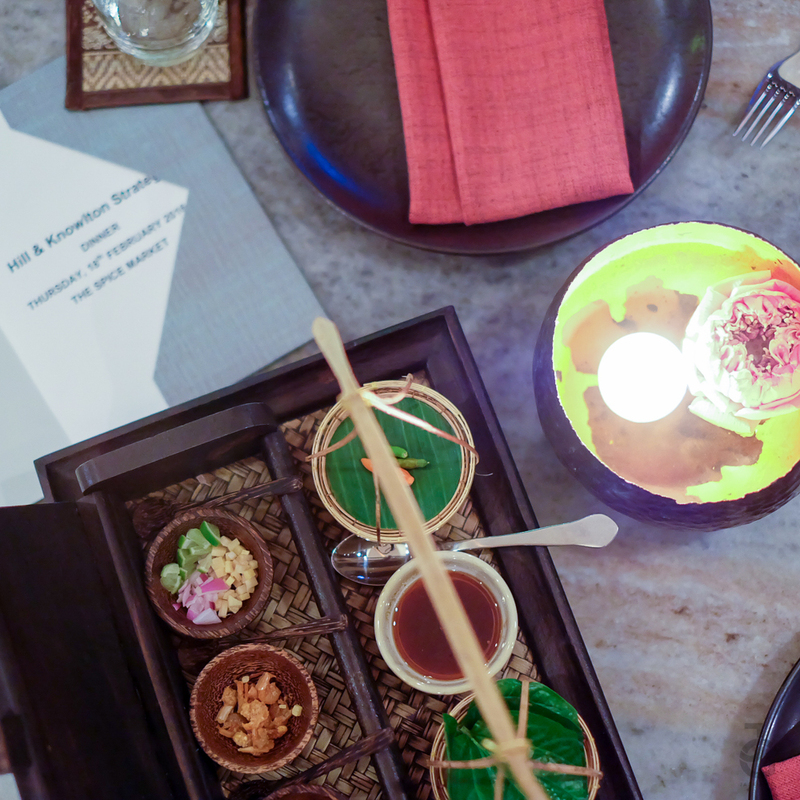 After an hour ride from the airport to our hotel (we stayed at the beautiful Anantara Siam), we settled in & freshened up. 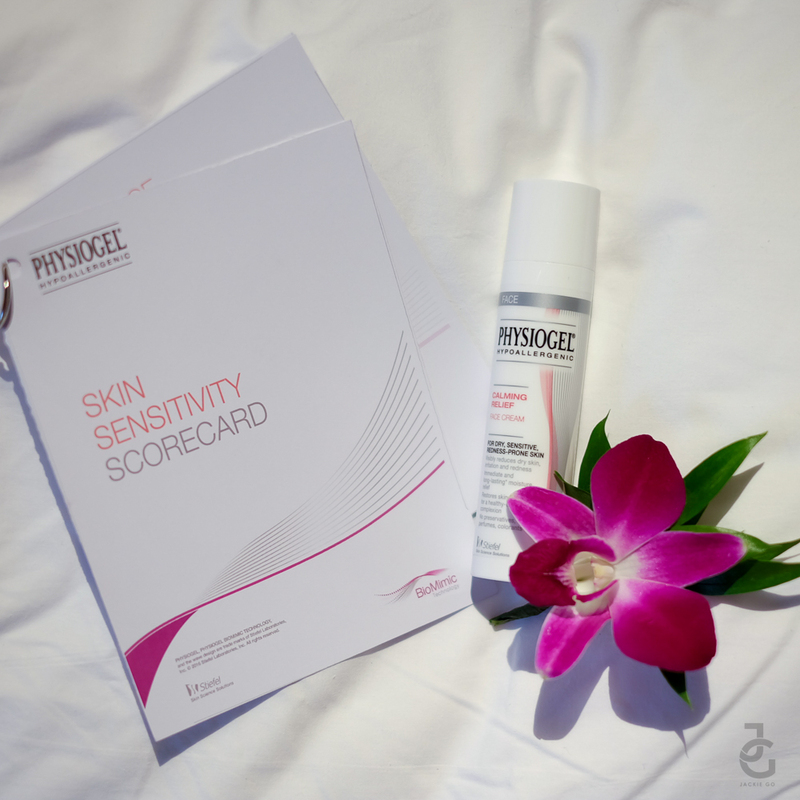 But before heading out to explore Bangkok on our first day, we were asked to rate our skin with this scorecard. Honestly, it was very easy for me to draw answers because I know I somehow have sensitive skin. 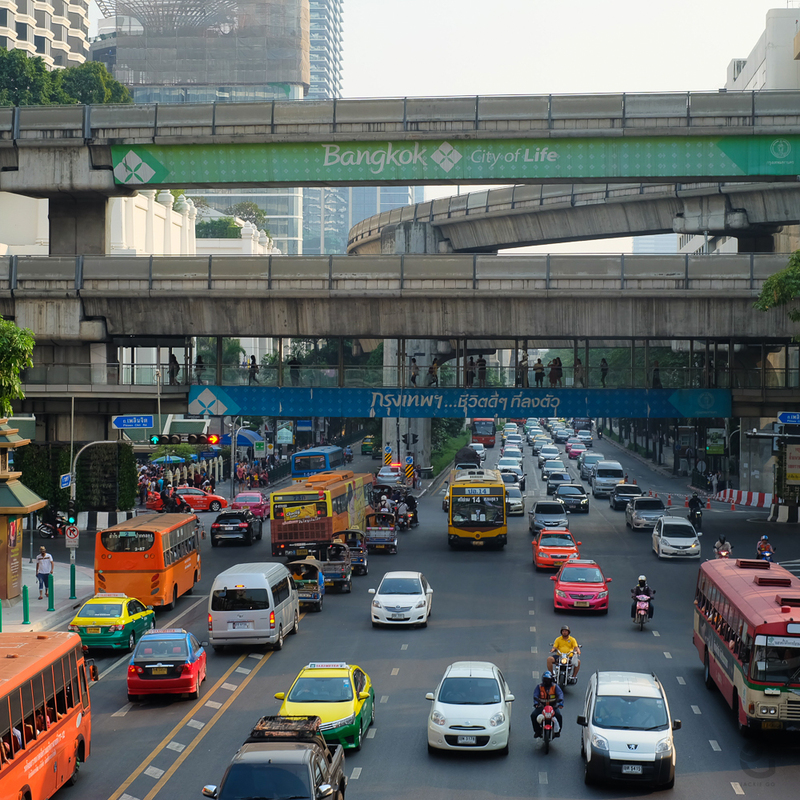 BKK has certain nuances that remind me much of Manila. So much that I felt like I was home away from home. 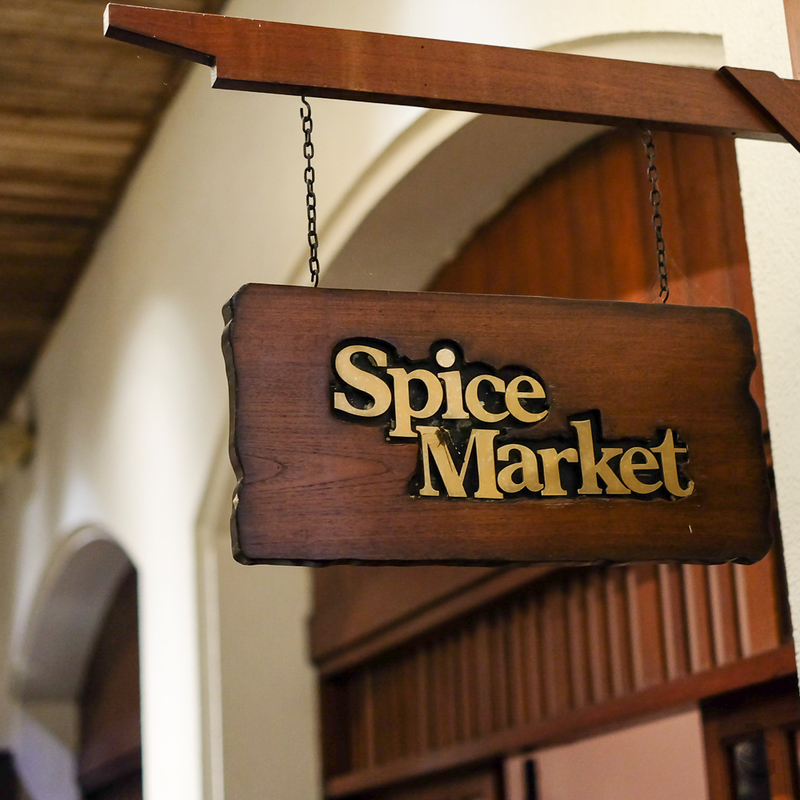 Shortly after roaming around the area, we had our first Bangkok dinner at Spice Market. We retreated to our respective rooms immediately after dinner. 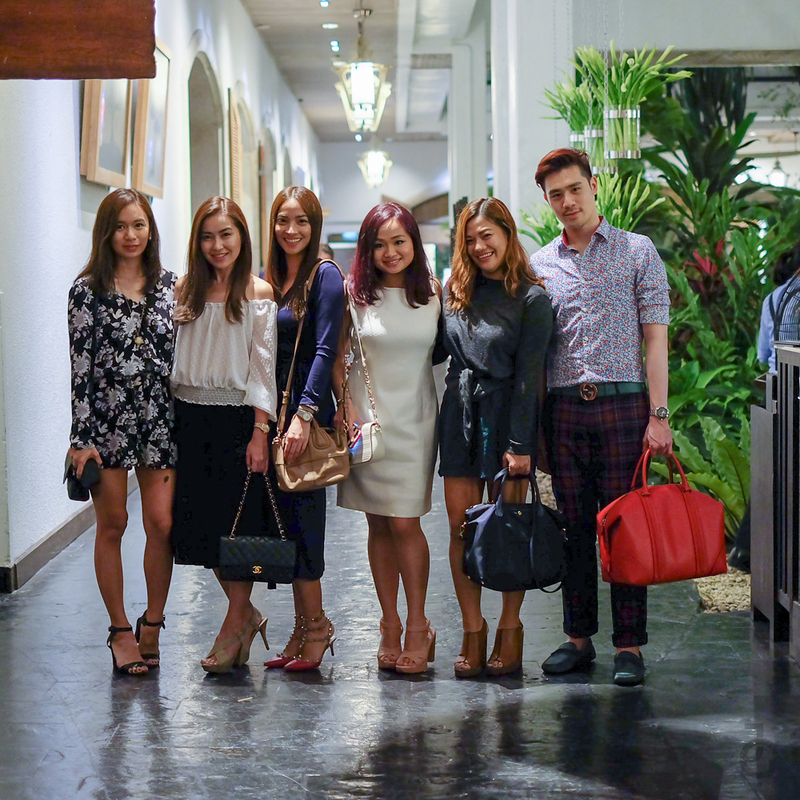 I know we’re all pooped up from the flight and from walking around Bangkok – hashtag TitaHits. Heehee. As I was getting ready for bed, I realized all my toiletries are travel-sized – to make room for shopping, of course! But there was one exemption – I couldn’t dare leave home without bringing my bottle of Physiogel Calming Relief Face Cream. I didn’t bring any other facial products save for sunscreen and cleanser. That’s because I’m impressed with how Physiogel Calming Relief Facial Cream has brought about good change on my skin. Bangkok is a tad bit hotter than Manila. Given my skin reacts quickly to changing weather (even if it’s just a degree or two), I had to make sure my skin gets all the help it needs. Thankfully, during my four-day trip in Bangkok, sudden dryness of my skin on day one was soon alleviated, all thanks to Physiogel Calming Relief Facial Cream. 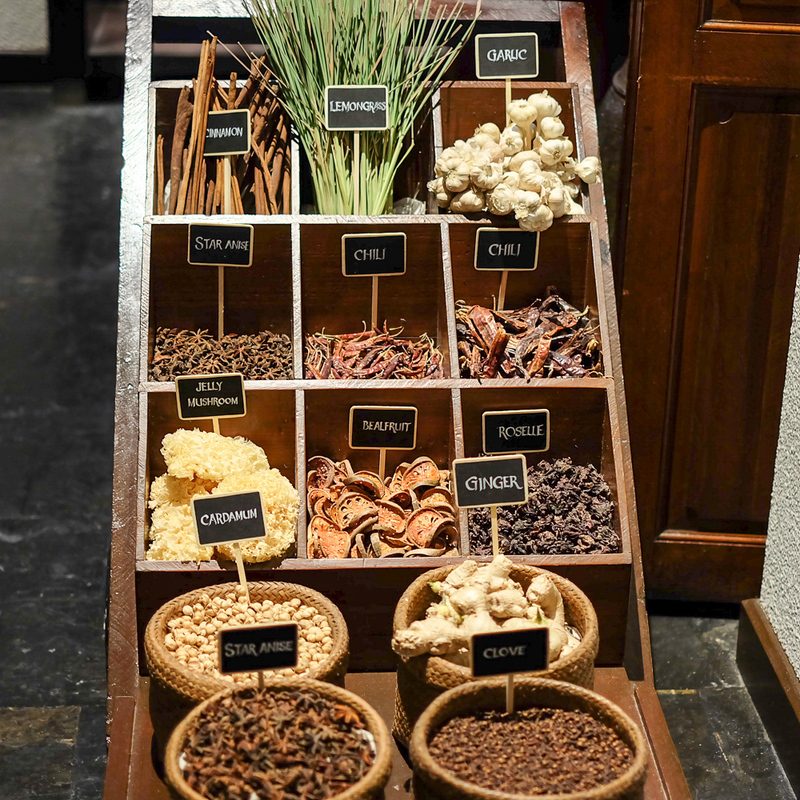 The next day, off we went to St. Regis to learn more about Physiogel Face Calming Relief range. 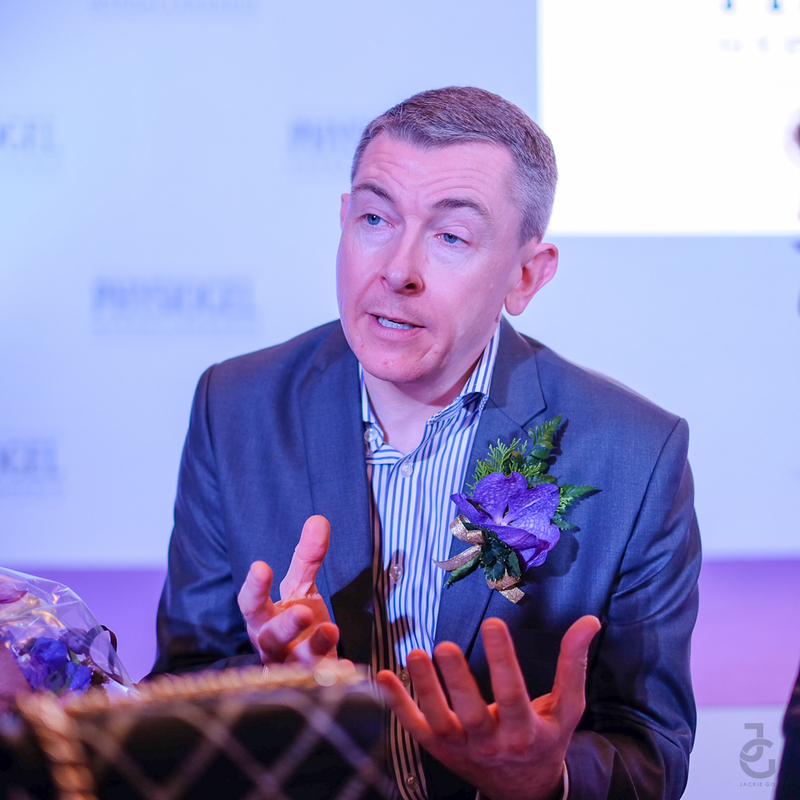 Learning about what makes one’s skin dry and sensitive as well as how Phyisiogel Calming Relief Face Range helps are the highlight of the media launch. 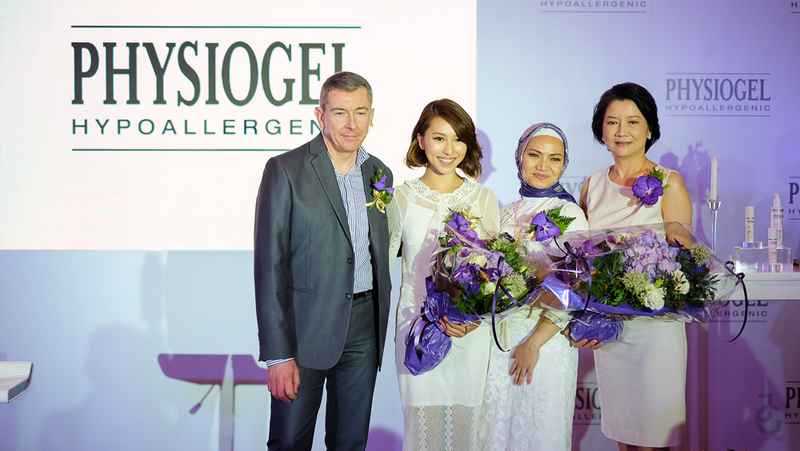 Here’s Dr. Peter Blenkiron, Senior Director, Skin Health Category R&D of GSK Consumer Health, who traveled all the way from Europe to enlighten us about Physiogel’s newest line together with Senior Dermatologist, Dr. Poohglin Tresukosol; and Singapore Influencer, Melissa Koh who also flew in from New York just to share her Physiogel experience with all of us. 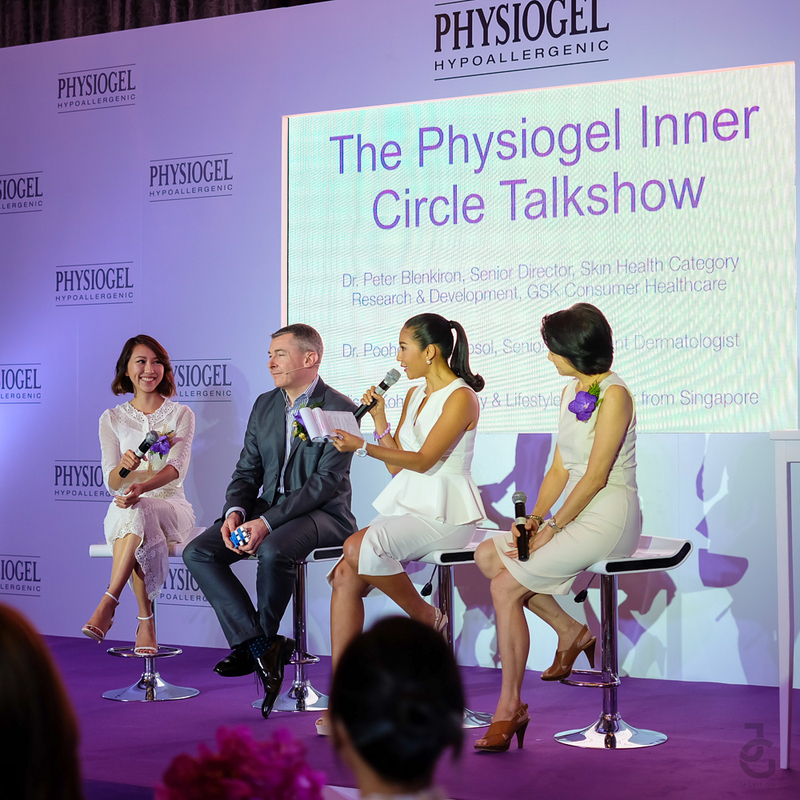 The Physiogel Inner Circle Talkshow focused on Physiogel’s BioMimic Technology. A technology that works to repair skin’s natural moisture barrier. It’s designed to form a highly organized lipid lamellae structure that packs hexagonally, similar to the packing of extra cellular lipids found in the skin. To simply put it, BioMimic Technology creates lipids that naturally work with the lipids of the skin, helping to protect against penetration and entry of bacteria and allergens from the outside. Also, its protective lipid layer defends against internal water loss (which makes skin dry and sensitive), functioning to seal in adequate moisture, keeping skin hydrated all day long. 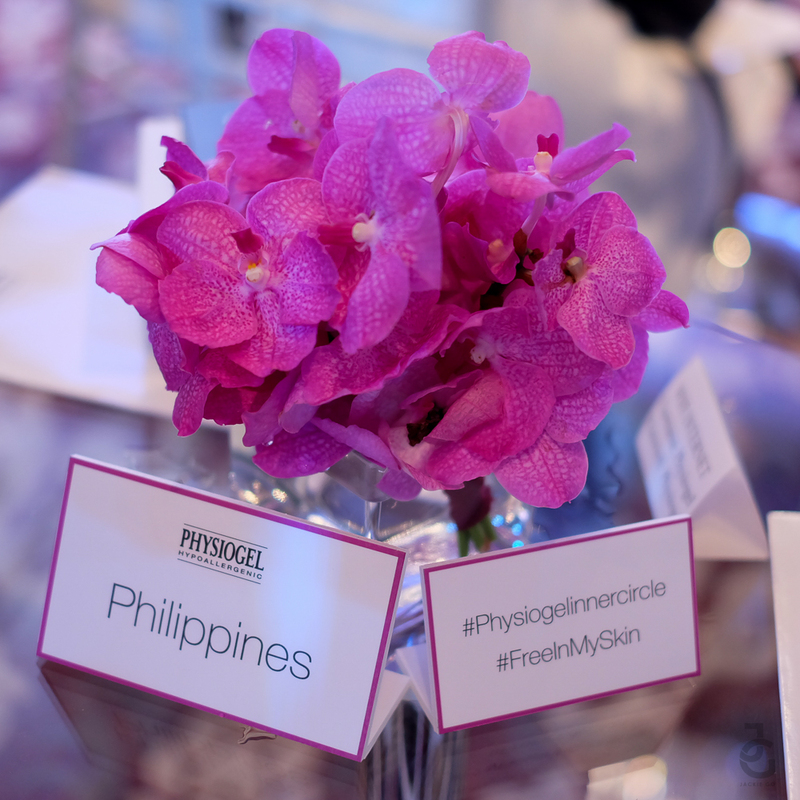 My main takeaway from the media launch is all about Physiogel BioMimic Technology. It provides nourishment & repair to skin’s moisture barrier, keeping skin soft and smooth. This can be found in all Physiogel products, particularly on their Physiogel Calming Relief Face Cream line. Dr. Peter Blenkiron, Melissa Koh, Maulani Affandi and Dr. Poohglin Tresukosol. 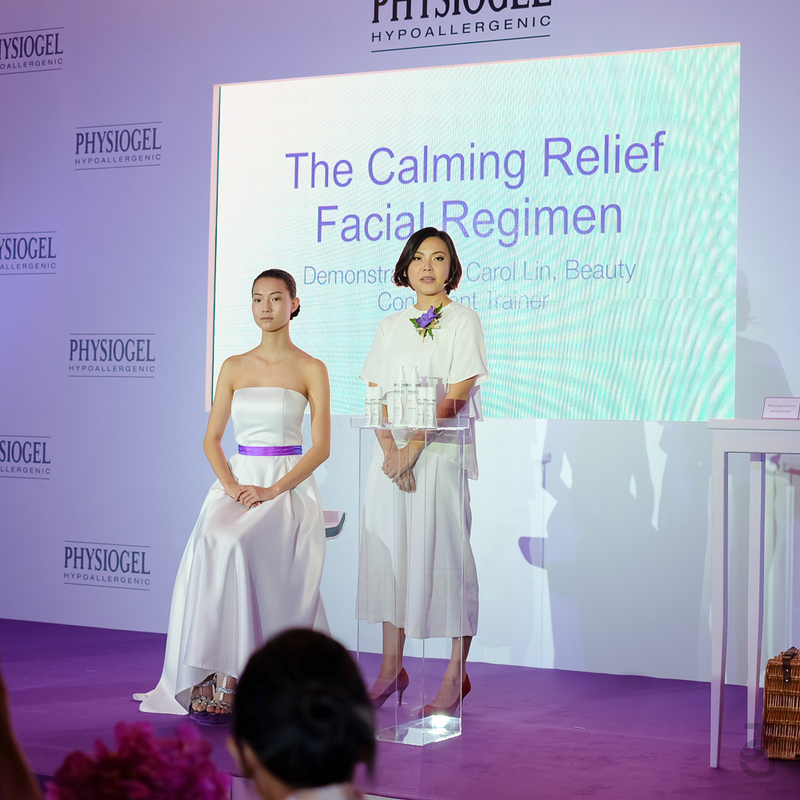 Carol Lin, Beauty Consulatant/ Trainer showed up how to use the Physiogel Calming Relief Face Cream products. 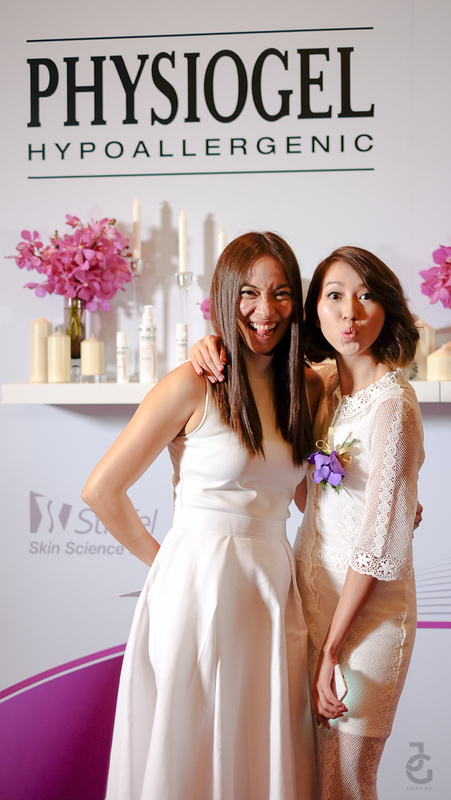 She briefly mentioned that gently product application should be consider when taking care of one’s skin. Shortly after Carol showed us how to apply Physiogel Calming Relief Face Cream properly – lather gently on the face don’t rub! – we had the opportunity to ask questions and be up close with Dr. Peter, Maulani and Melissa. Melissa shared how Physiogel Calming Relief Face Cream helped her get through with the negative degree weather in New York during the recent New York Fashion Week. Like me, she was born with dry skin. But it was just recently that skin tightness has become very evident more than redness. According to Melissa, a week into using Physiogel Calming Relief Facial Care and she’s seen how much it has helped her skin stay moisturized. 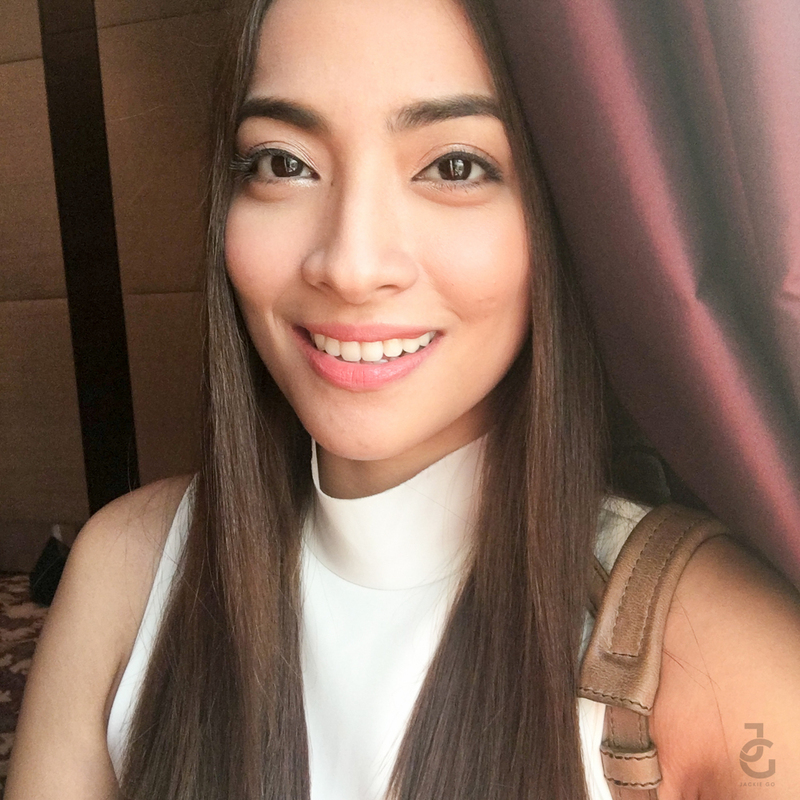 Lately, she’s been all about skin hydration more than anti-aging – after realizing that make up on dry skin is not as pretty and having good skin means having a well-hydrated one. I get you Melissa, I totally get you! 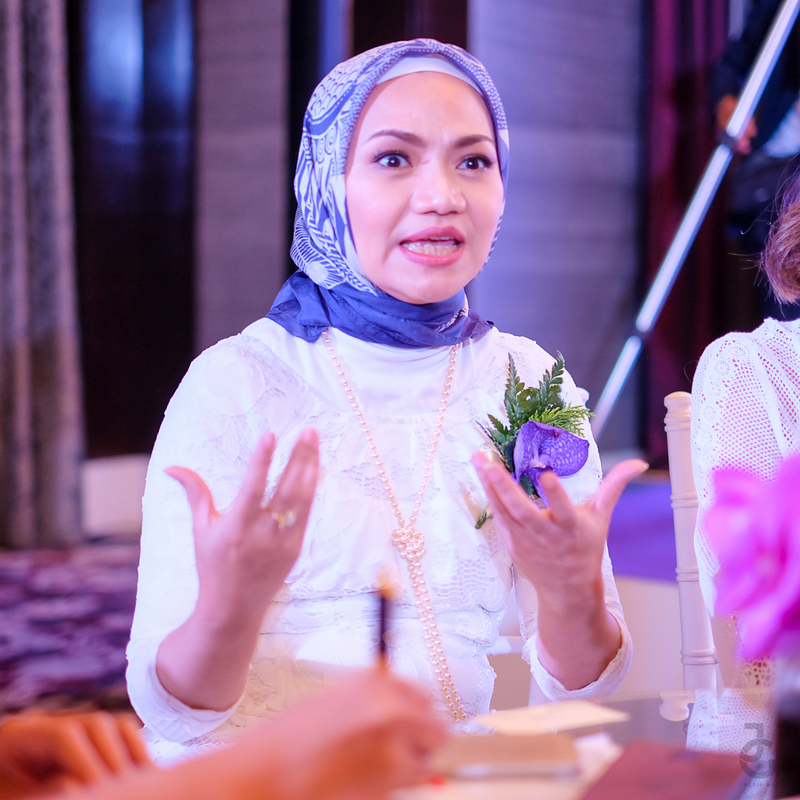 According to Maulani, South East Asia – particularly those countries with hot and humid weather conditions – is where women experience sensitive skin. One in three women cites having facial redness as the main cause for concern. According to Dr. Peter, dryness is a form of skin sensitivity & is a sign of disrupted skin. While there is no reversing skin sensitivity, dryness can be prevented – start with the core and build a protective barrier to lessen skin disruption. To those who weren’t born with sensitive skin but finds themselves occasionally dealing with dry skin, it maybe because your skin is vulnerable to change brought about by external factors – the weather, products you try, what you eat (spicy food can be a culprit), and the most common factor of all STRESS – can really take a toll on your skin. Whether you’re naturally born with sensitive skin or are exposed to external factors that causes your skin to be tight, red, flaky or itchy, go for Physiogel Calming Relief Face Care products. The range is made up of three products – Physiogel Calming Relief Face Cream, Physiogel Calming Relief Face Cream Rich and Physiogel Calming Relief Gentle Cream Cleanser. I’ll share more about the products on another post because they deserve their own spotlight. 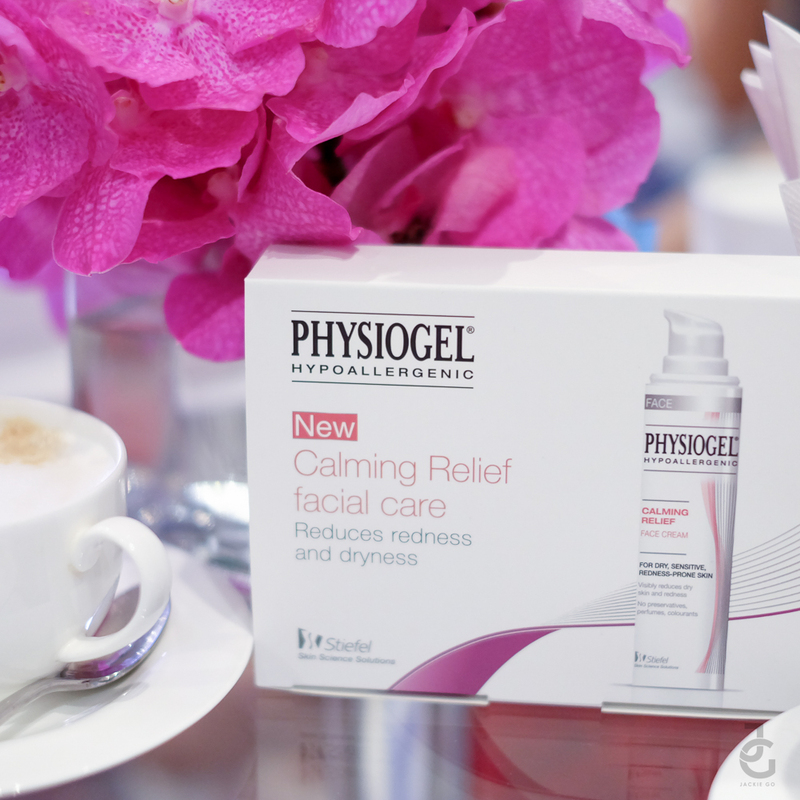 Totally #FreeInMySkin with Physiogel Calming Relief Range. Thank you so much Tong for a wonderful afternoon of pampering and prettifying. He used Physiogel Calming Gentle Cleanser and Face Cream on me before doing my face. Ay lavett! Physiogel Calming Relief Face Care is now available at leading drug stores and department stores nationwide.